Exterion Media has claimed its won the £1.1 billion Tube outdoor ad sales contract because it offered a "genuine partnership" with Transport for London and "a laser focus" on what would benefit advertisers and consumers. Shaun Gregory, the chief executive of Exterion Media, which successfully retained the contract, promised new investment and greater use of data and said the TfL deal could transform outdoor as a medium by making it more "accountable to advertisers". "I’ve always said that what we put forward was a genuine partnership that would redefine the sector and we’ve been rewarded," Gregory told Campaign. "Rather than looking at tender opportunities and contract wins, the industry needs to grow up slightly and look at partnerships and thinking about things more intelligently." TfL has huge amounts of valuable customer data and already operates Wi-Fi on most station platforms and Gregory said that being able to use that information in new and deeper ways "will change the way the industry sells and is accountable to advertisers". He went on: "It’s catching up with other forms of media whether that’s online or mobile. It’s a coming of age for the medium." Gregory said passengers on the TfL network would also benefit with more digital screens and other investment such as internet-enabled beacons to connect to mobile devices. The winning bid was "very grounded in how will we be able to engage with consumers" and "tuned into the consumer experience". Although Exterion Media will invest more in digital, Gregory said traditional posters and other fixed outdoor media still mattered. "It’s about looking at a blend of classic and digital," he said. In a sign of how Exterion Media worked hard to satisfy TfL’s scoring system, which marked bidders on a range of criteria thought to include health and safety and customer experience, staff from the outdoor company examined "every single station" on TfL’s real estate to work out how to tailor ads. Industry observers have suggested the enlarged TfL contract, which includes the Docklands Light Railway, London Overground and new Crossrail line for the first time, could generate upwards of £200 million a year from next year. 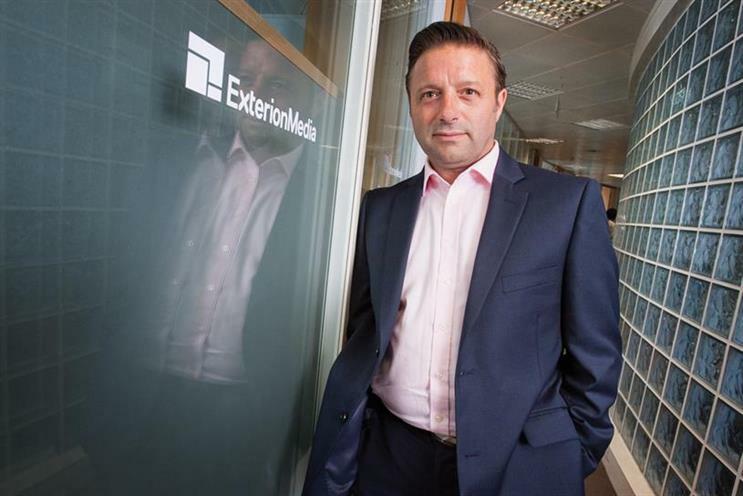 Gregory declined to comment on that or whether Exterion Media’s owners, Platinum Private Equity, could look to exit or merge the business to gain further scale. "It’s a question for the owners," he said. However, Gregory plans to stay for the foreseeable future after the new contract begins in October. "Absolutely, 100 per cent," he said.